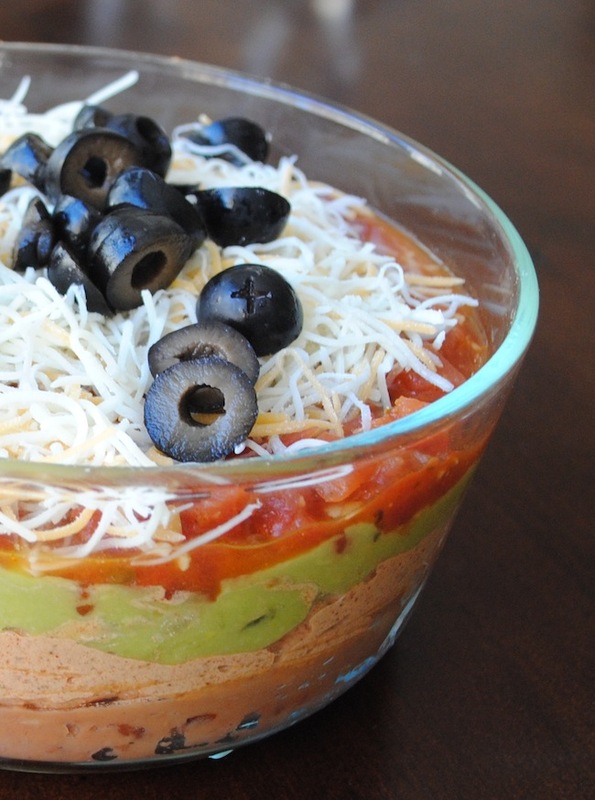 I LOVE a delicious 7 layer dip but store bought ones can be LOADED with calories and fat. 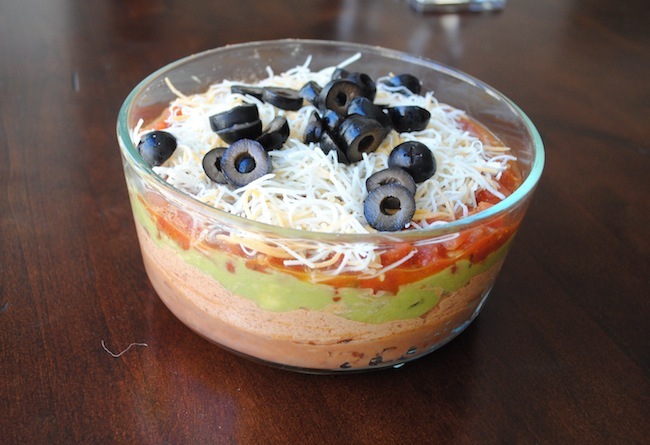 So when the FHF requested a 7 layer dip for a group of 10 guy friends coming over for football, I decided to scour the internet for a recipe that made me feel absolutely guiltless if I decided to join in on the fun. I decided to use a recipe from Medicinenet.com because it had all of the ingredients I love, and was only 85 calories and 4.4 grams of fat per serving! Here are directions for making this delicious recipe. In small bowl blend sour cream with taco seasoning. Top the beans with the sour cream mixture. Then top that with the guacamole. Spread the tomatoes on top. Sprinkle chopped onions, shredded cheese, and black olives. Serve with reduced-fat tortilla chips or reduced-fat crackers, chopped veggies, and extra napkins. Then enjoy!